God taught Abraham three important lessons about faith. These are lessons we should embrace as well. 1. Faith is founded in facts. 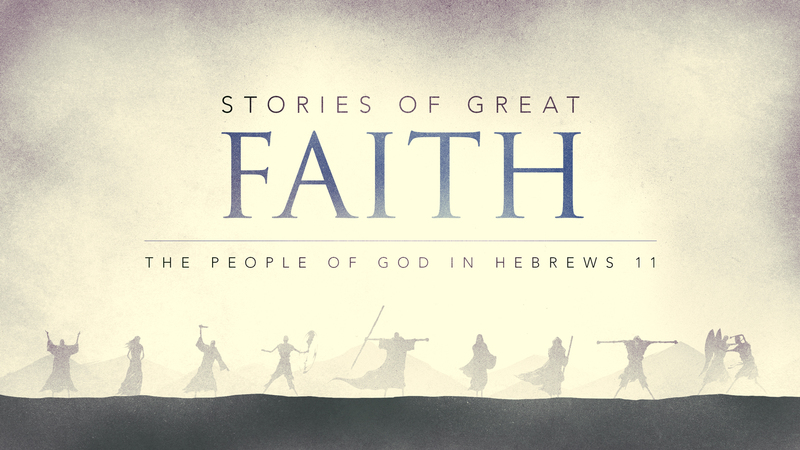 | Abraham teaches us that the object of our faith is important. He had faith in God and in His capacity to fulfill His promises. • What promise of God is meaningful to you today? 2. Faith is revealed by response. | God’s command to Abraham was intentionally open-ended. God does not have to give us all the facts for us to trust Him. He calls us to obey inspIte of the circumstances. Many live restless lives because they don’t act on what God has told them. • What keeps you from responding to God’s promises by faith? 3. Faith is strengthened by vision. | Abraham went out, anticipating what was to come — where God would lead him. Abraham teaches us that faith is an opportunity to experience the extraordinary. • What do your responses to God’s promises tell a watching world about your faith in God? The Law of Legacy: What I do today that will influence the beliefs and actions of future generations, for good or evil. We all leave a legacy. The question is what things will you do now to pass a Godly legacy onto the next generation. 1. My legacy and my view of God are deeply connected. My realization that I’ll leave a legacy should cause me to look closely at my belief system. 2. My walk with God is my greatest legacy. Everyday life is when your walk with God is modeled for others. 3. My legacy will outlive me. We are the product of the legacy of others, and we have the power to bless our children and future generations with the grace of God through the power of our blessings. Noah is one of the best known biblical characters. His life teaches us how faith in God should lead to walking with God. Faith defined is believing that God will do what He says He will do. Noah’s example illustrates what faith looks like. 1. Noah’s faith led to righteousness. 2. Noah’s faith led to obedience. 3. Noah’s faith led him to worship. Ultimately faith and obedience leads us to worship God, because He has shown himself as faithful to us. Discuss the following questions around your table today. • What does it mean to walk with God? • Do you believe that God will do what he says he is going to do? Why or why not? • What does obedience look like for you in your life? • How has God grown your faith over the last year? Scripture Passage: Hebrews 11:4 | By faith Abel offered to God a better sacrifice than Cain did. By faith he was approved as a righteous man, because God approved his gifts, and even though he is dead, he still speaks through his faith. Everyone has faith but how we approach God demonstrates if we are placing our faith in religion or placing our faith in Jesus. There are significant contrasts in placing our faith in God and placing our faith in religion. 1.​ Our awareness of the problem. Abel knew that he was in desperate need for God’s forgiveness and grace. He also knew that he could not earn God’s forgiveness through religious efforts. However, Cain didn’t recognize his desperate need for God’s forgiveness and put his faith in his own efforts. 2.​ Our perception of people. Cain compared himself with his brother in hopes of gaining God’s approval. Abel acknowledged that he could not measure up to God’s standards and relied on God’s grace to forgive him and make him acceptable to God. 3.​ Our method of payment. We either attempt to pay for our sins by religious efforts or rest in God’s forgiveness through the sacrifice of Jesus. 1.​ Ask God to show you how you are trying to gain his forgiveness and acceptance by your own efforts. 2. ​Ask God to help you accept that you are forgiven and acceptable because of the sacrifice of Jesus. 3.​ Thank God for His great love and sacrifice for your freedom!